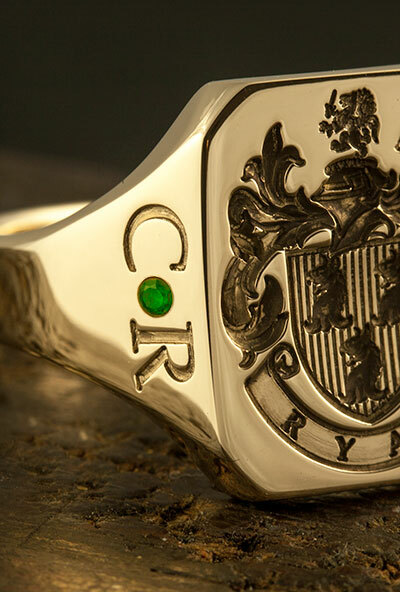 Bling up your ring - Make a bold statement with larger precious gemstones set on their own: into the shoulders or as a larger solitaire stone on the face of your signet ring. 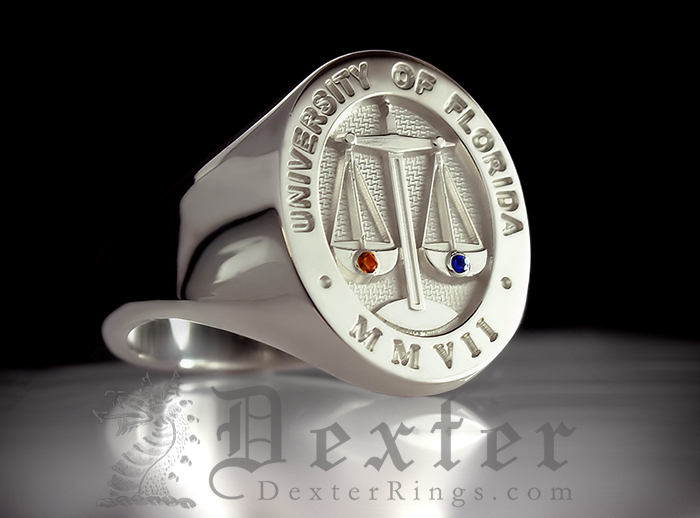 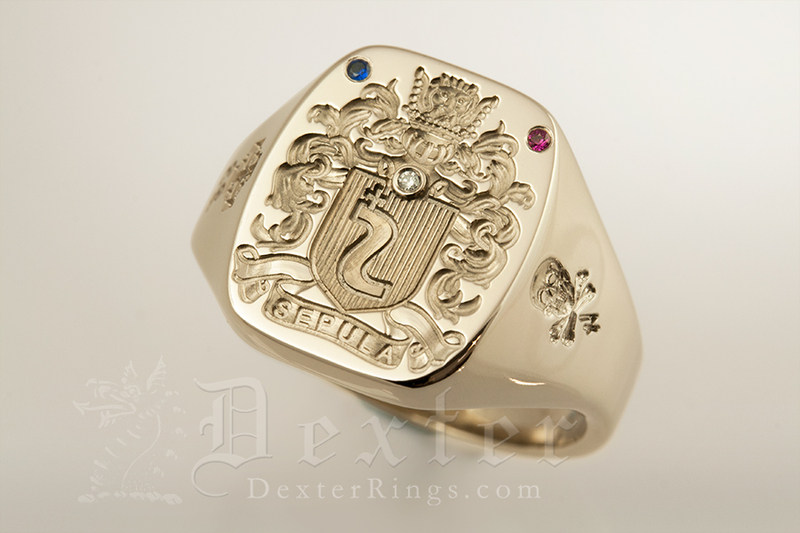 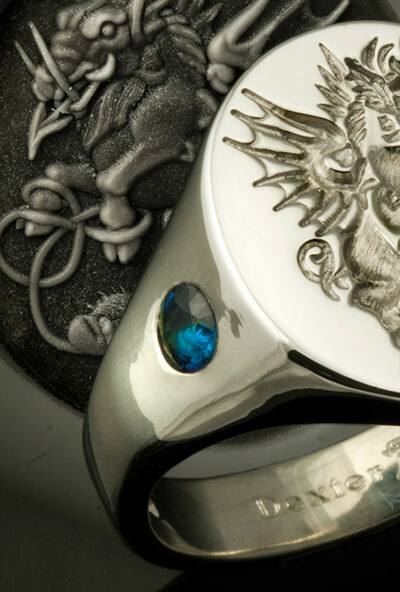 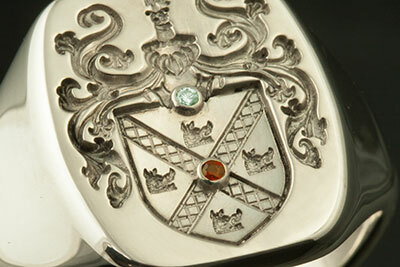 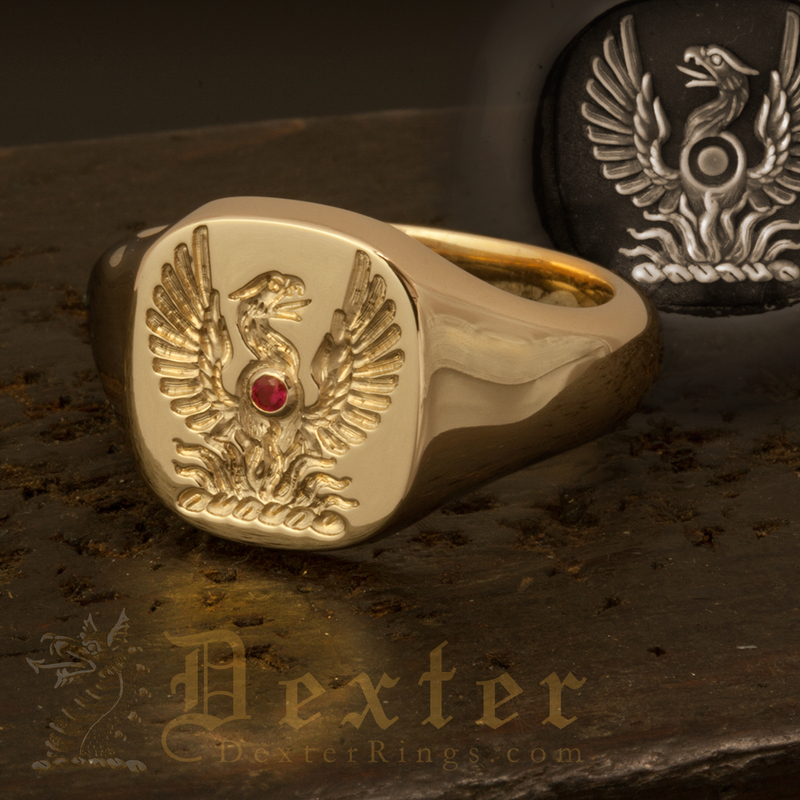 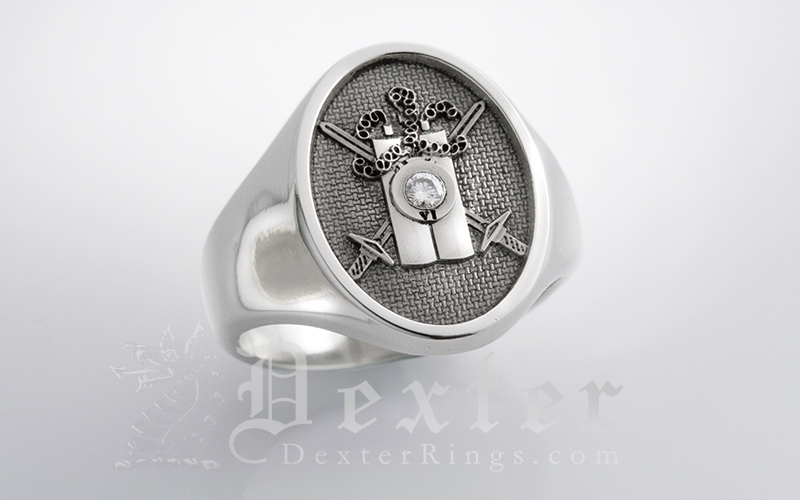 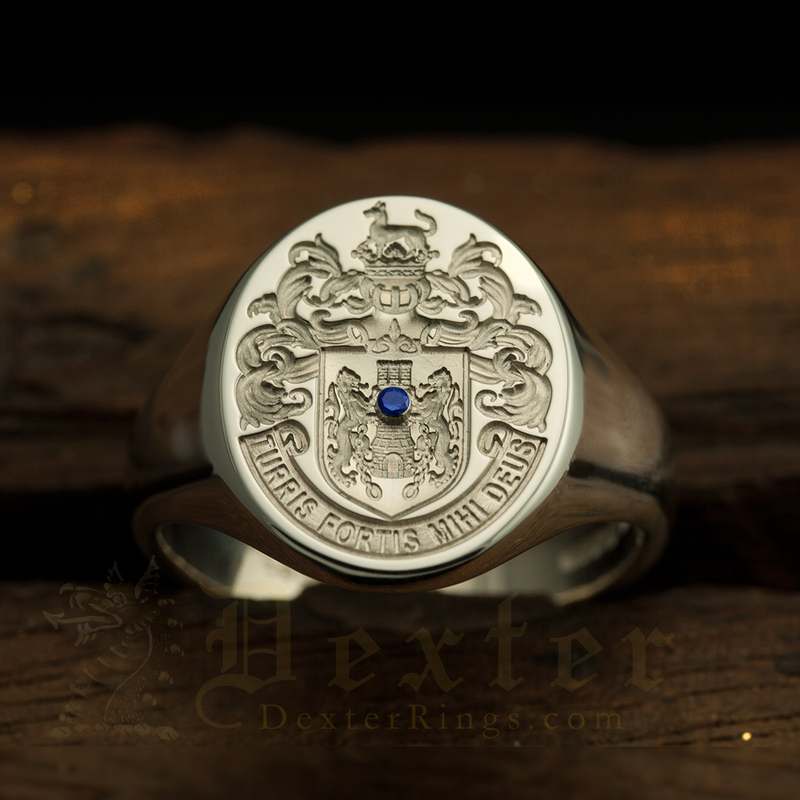 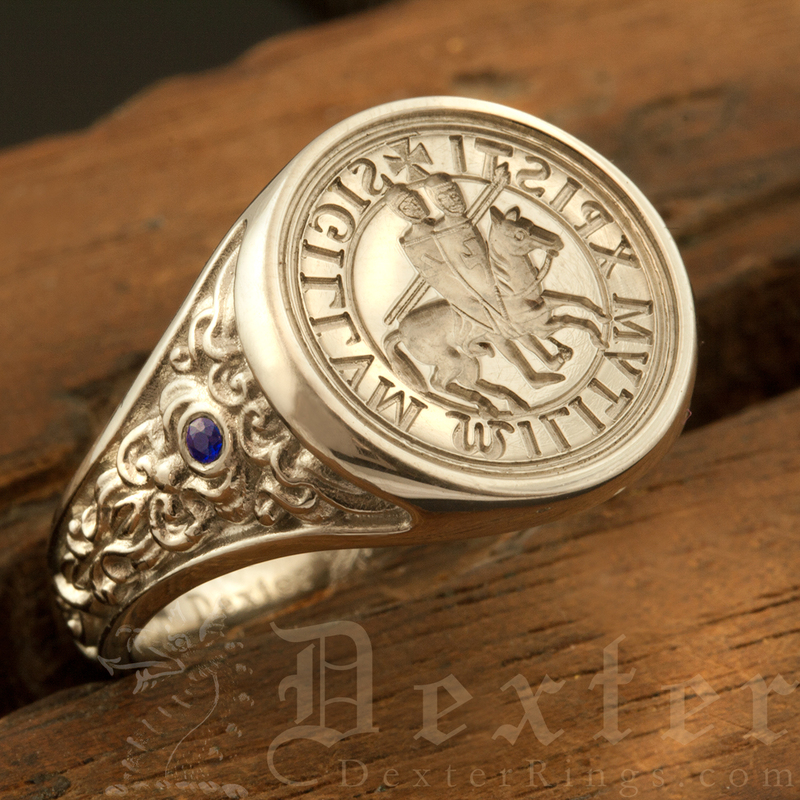 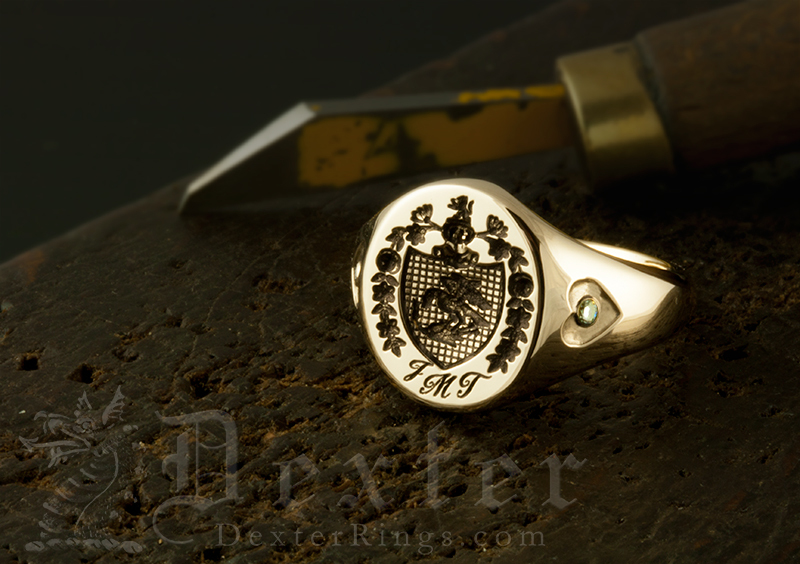 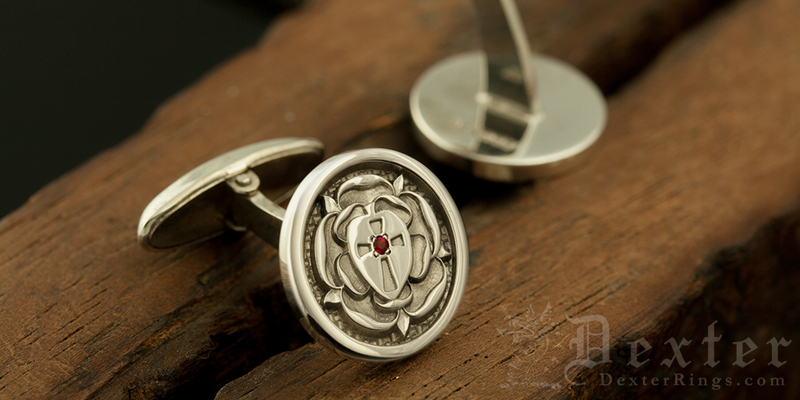 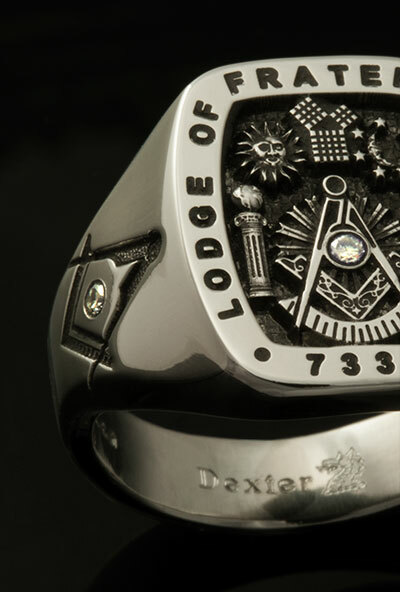 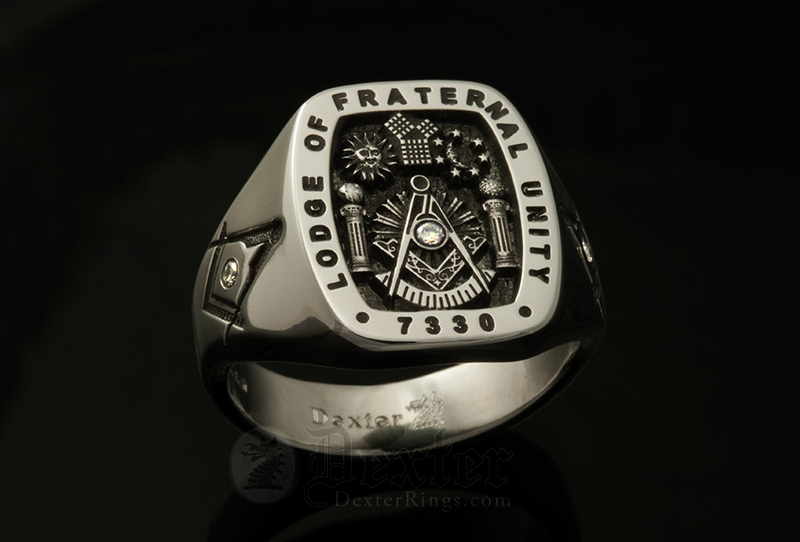 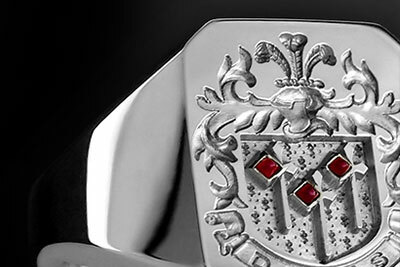 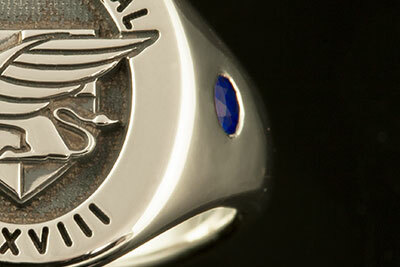 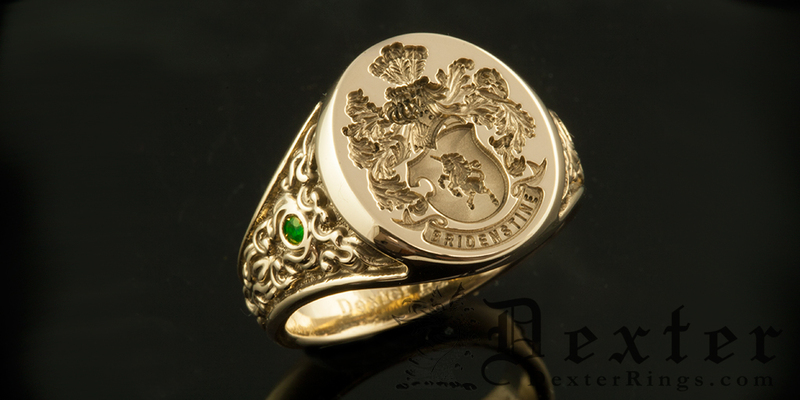 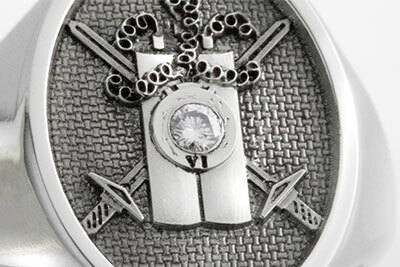 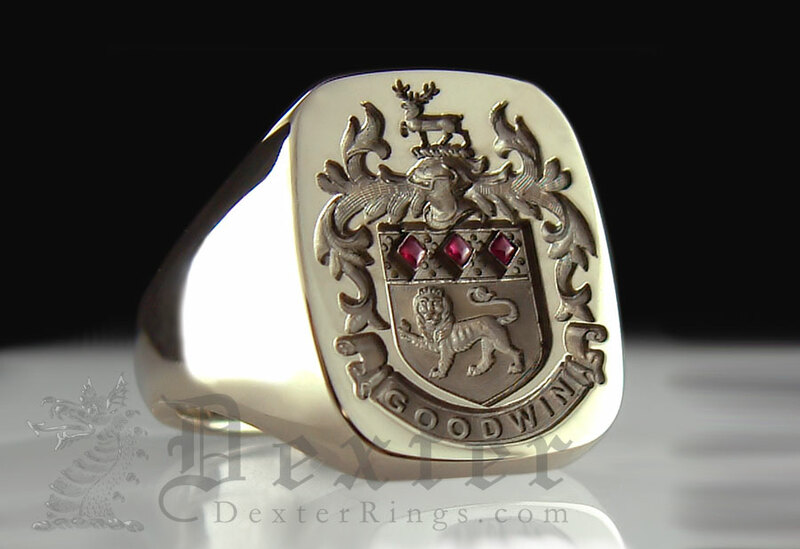 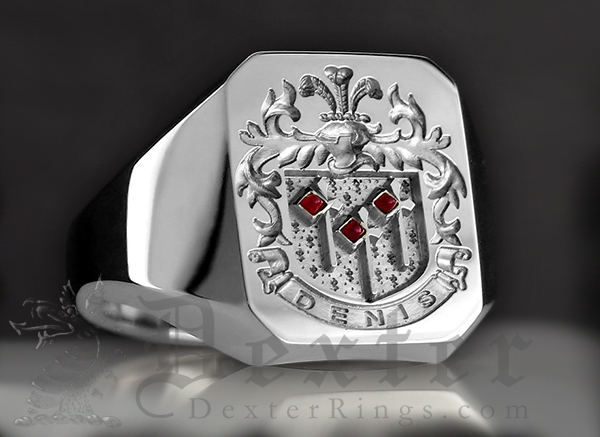 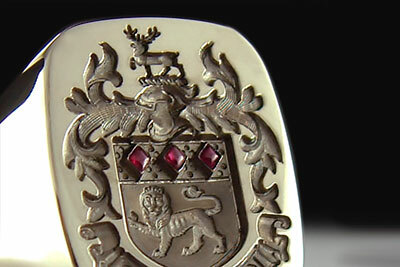 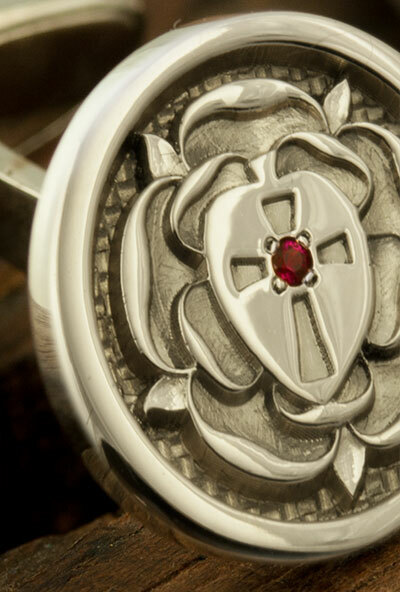 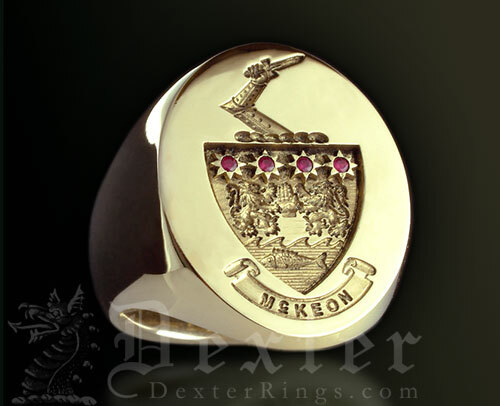 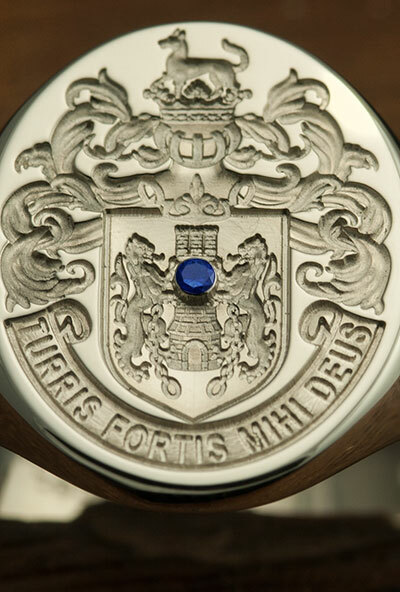 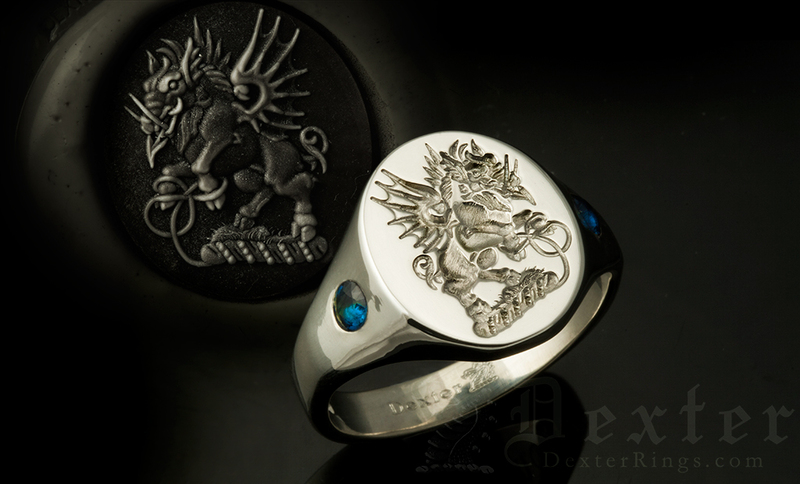 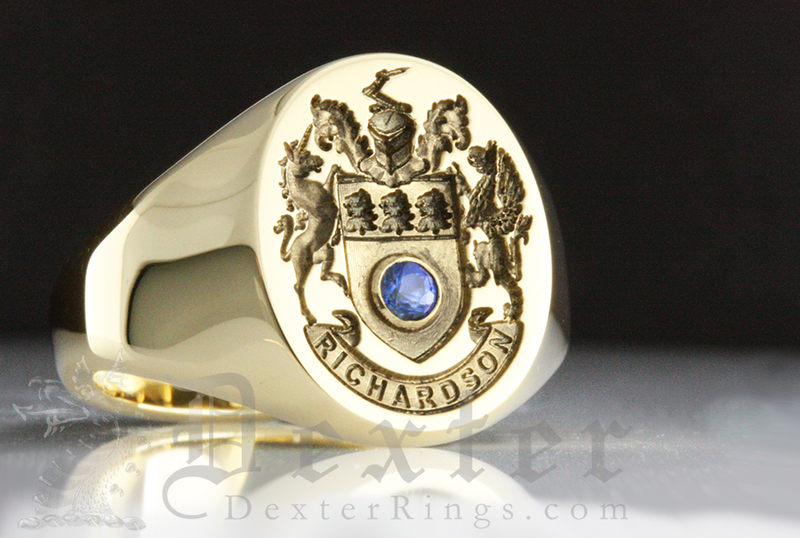 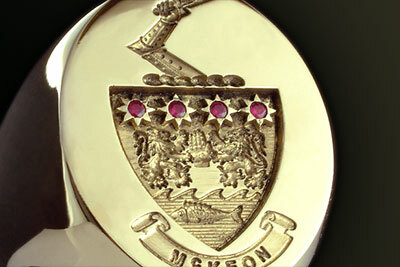 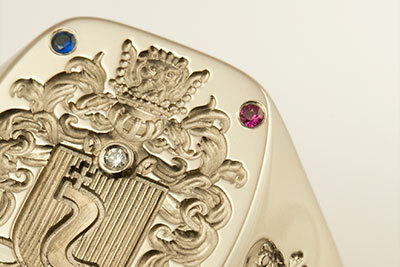 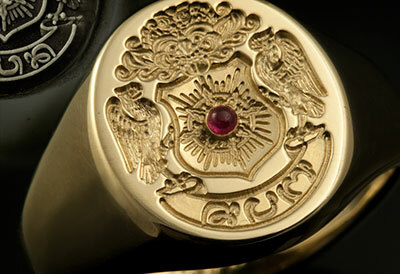 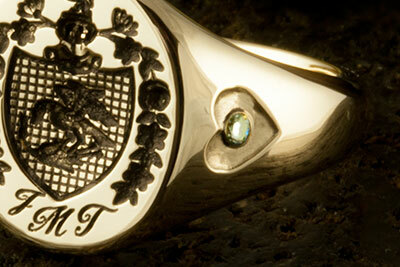 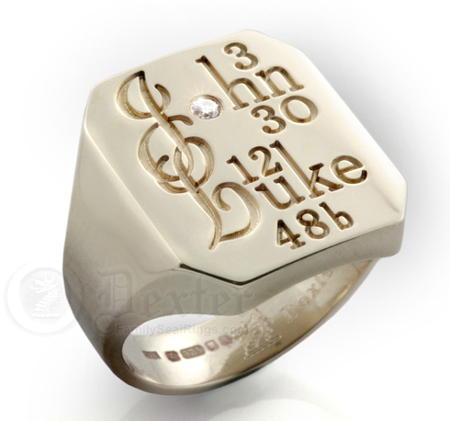 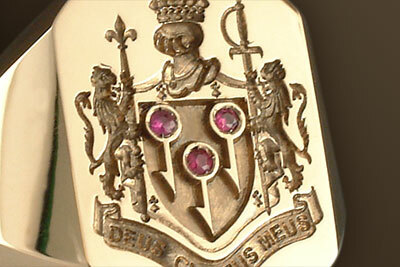 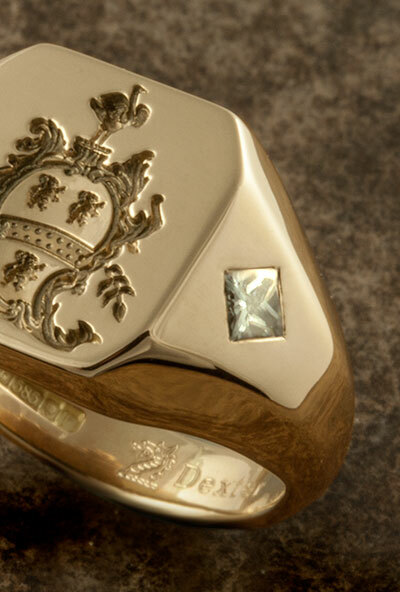 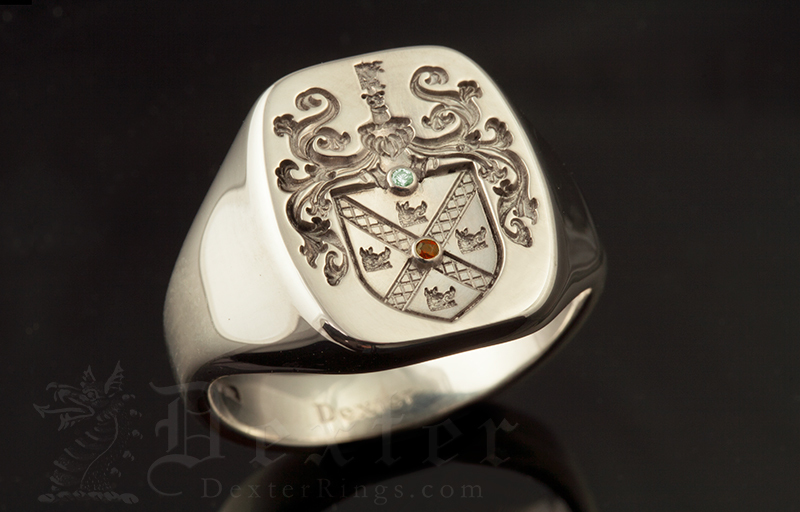 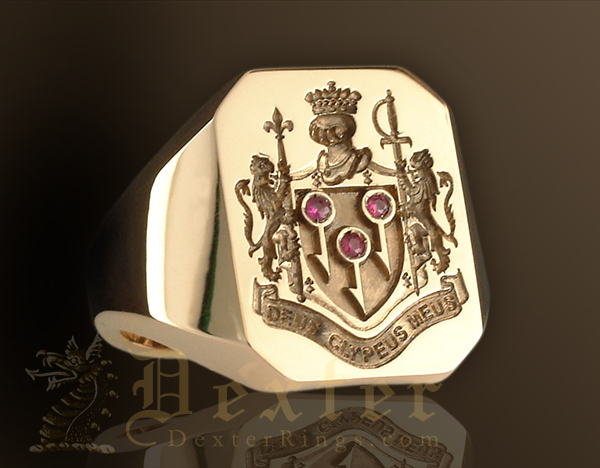 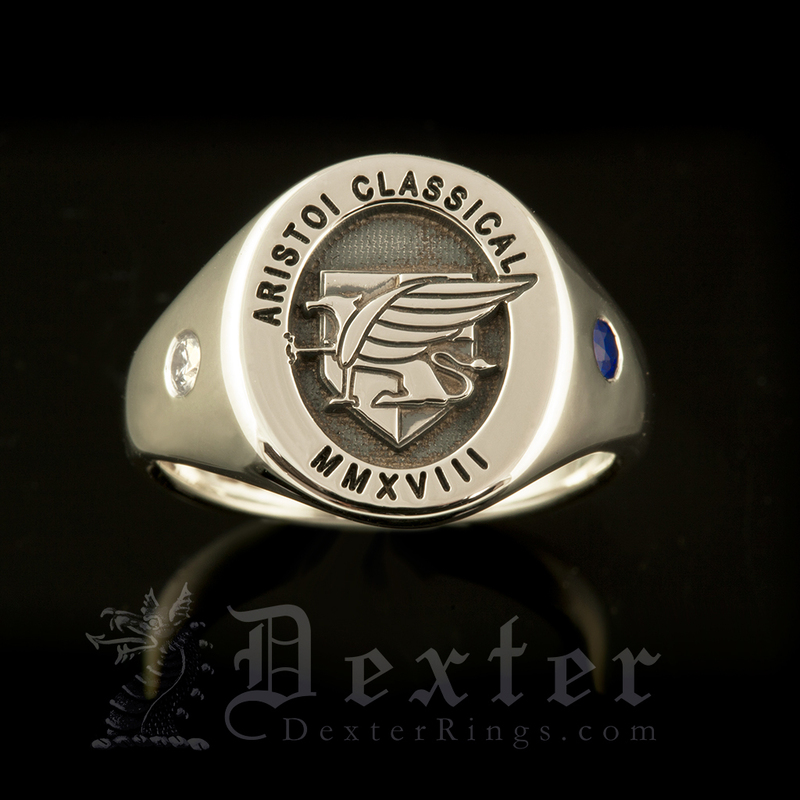 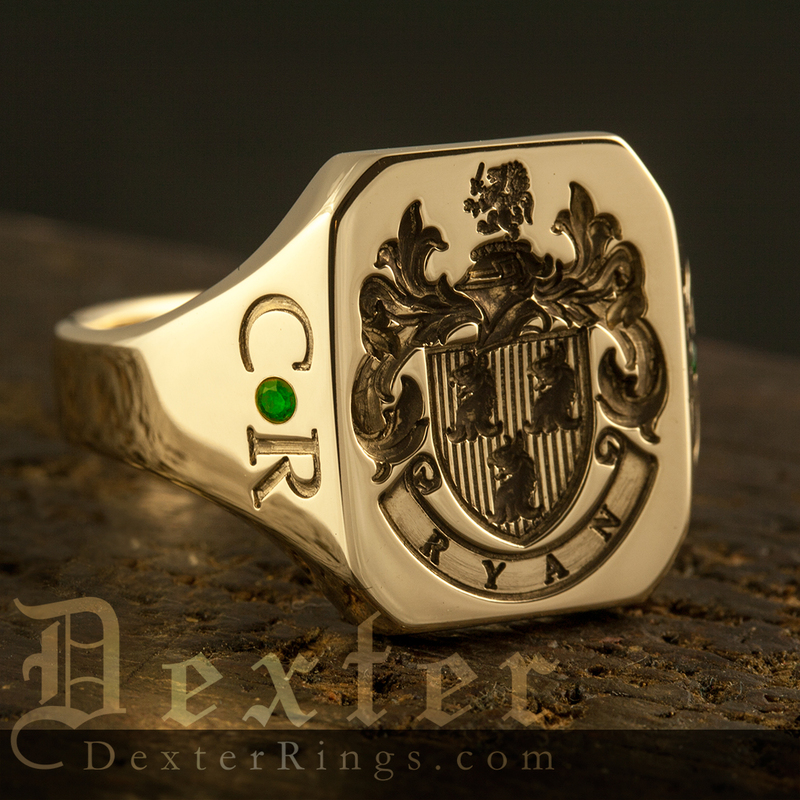 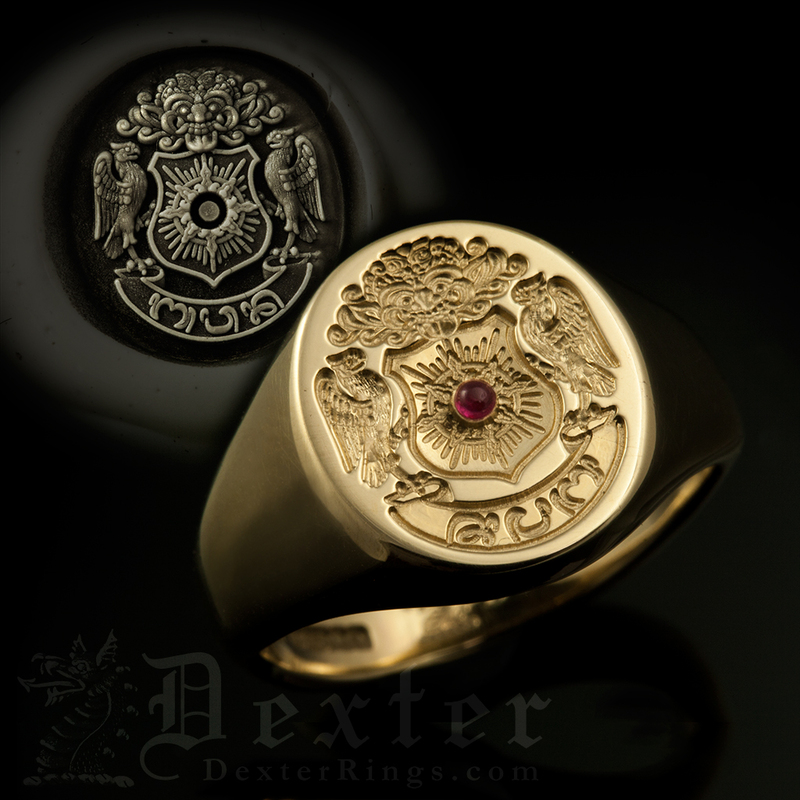 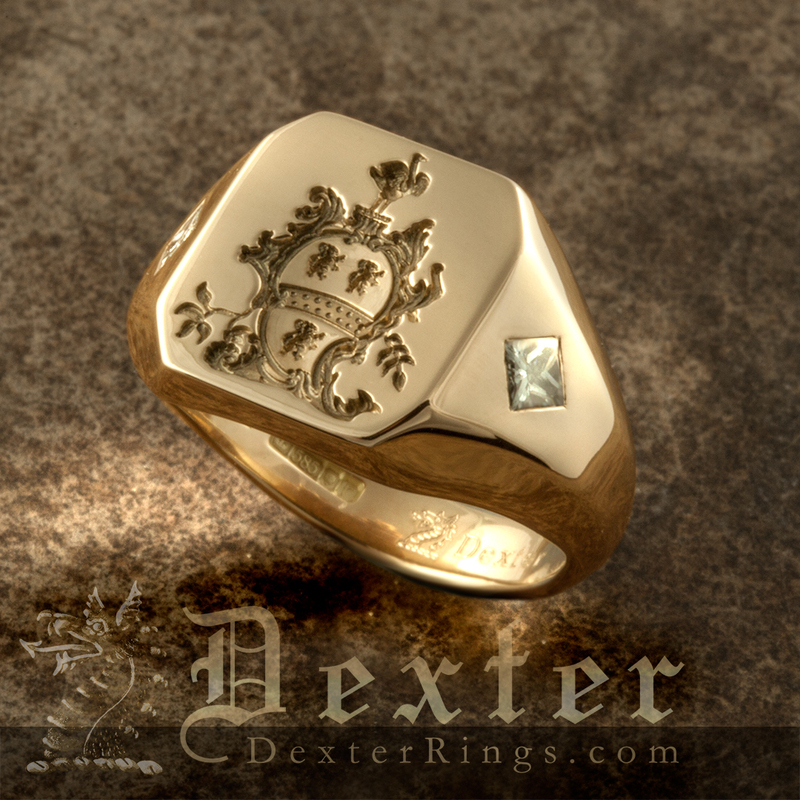 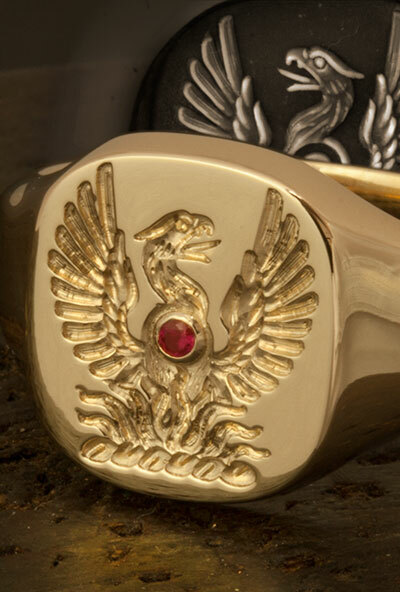 Or create a more subtle effect with smaller gemstones, set into the engraved design – As part of the engraving of your shield or crest. 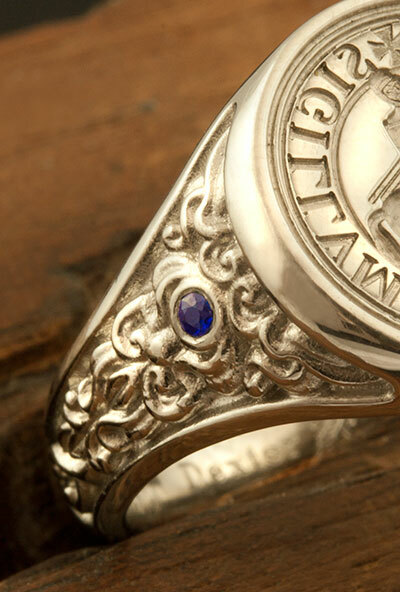 Although you can add small gemstones to your online purchase, to ensure you get the result you require we will always confirm the details and price with you before proceeding with your commission. 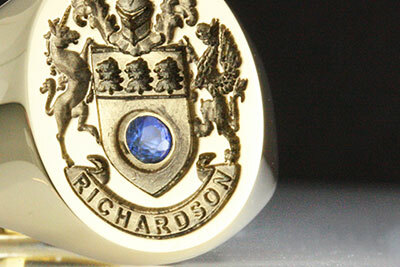 The larger stones WILL NEED TO BE QUOTED FOR - So if bling is your thing please let us know! 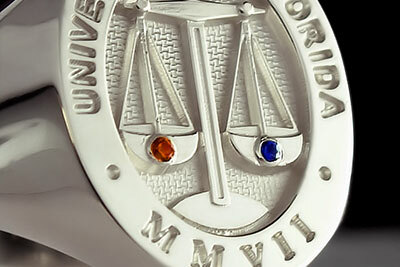 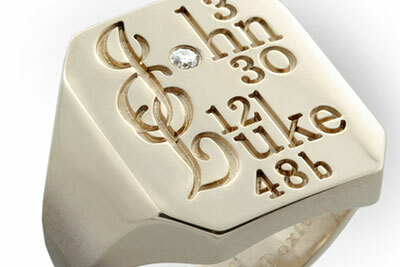 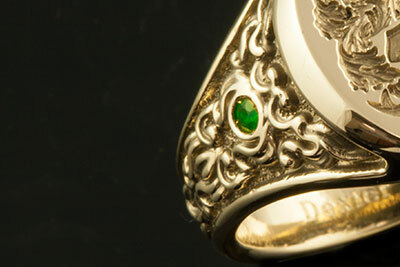 Gemstone setting could add 2 weeks to your lead time.